Westminster has been told by the SNP-led Scottish government to compensate farmers in the event of a 'no deal' Brexit. Rural Economy Secretary, Fergus Ewing said leaving the EU with 'no deal' is 'by far the biggest threat' to Scottish farming. Evidence indicates that Scotland’s farmers would be worse off under every scenario when compared to the current trade arrangements, with some or all producers facing lower returns. Sheep farmers are particularly at risk, with UK sheepmeat exports worth £390m each year, ad with nearly 90% of this destined for EU, the prospect of tariffs as high as 45-50% being imposed on these exports would be 'devastating', according to the Scottish government. Mr Ewing said: “There is a range of independent research highlighting that under all possible scenarios, failure to replicate the current trade arrangements with the EU will have a detrimental impact on farmers, with our sheep sector under particular threat. “UK sheep meat exports could suffer considerably if tariffs come into play. Carcasses make up an important part of what the UK exports to the EU and could potentially be facing tariffs as high as 45-50% of the price of the meat, which would be a blow to our price competitiveness on the export market. “The fact remains that if the UK is unable to competitively supply sheep meat to the EU from the end of March 2019, there’s no other outlet that could come close, where volume is concerned, at least in the near-term,” he said. 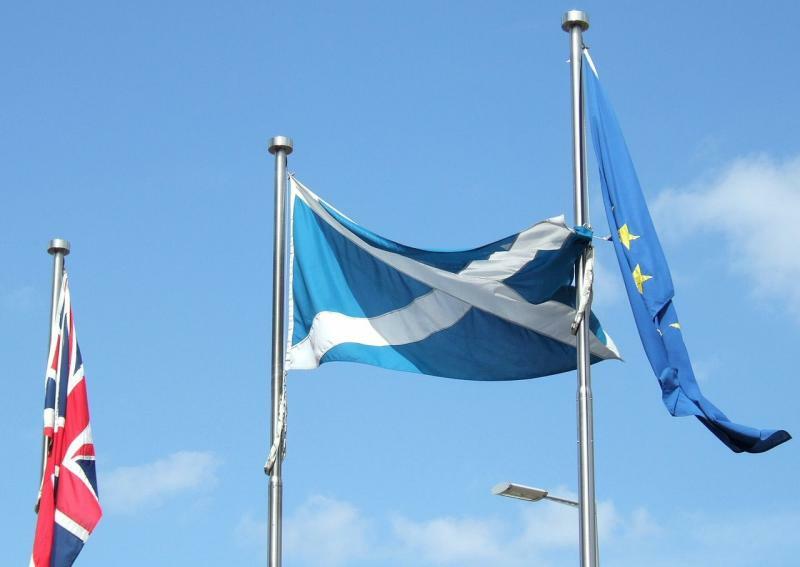 The Scottish government said failure to compensate farmers in the event of 'no deal' would increase the risk of businesses going under, reduce net profitability across sectors and lead to 'widespread land abandonment'.